I have 6 (six). All are 5 stars except my navy which appears high on top. Otherwise all caps are true to size, fit, and top quality! 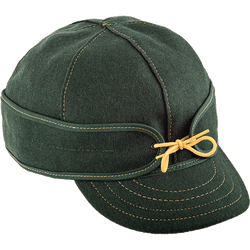 They are a three season cap that adjusts to temperature. For summer the waxed hat is, great. 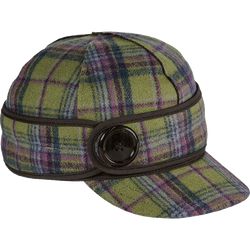 This is one of three caps I recently purchased from the Stormy Kromer site. The other two are a canvas cap and a Michigan state emblem gray cap. I am very pleased with the quality and fit. I purchased this cap slightly larger than my other two so I would have a bit more room for my hearing aids when the ear flaps are down. A comfortable, well made addition to my hat wear. I feel these caps are a good way to spend a tax refund so that's what I did! The fact they are made in USA in Michigan's U.P. was a big selling point with this former Oakland County resident. I'm well-pleased. I love how this hat looks on my husband! I will definitely buy from them again! Husband absolutely loves this hat! Perfect fit and love that there were sever options to choose from!!! 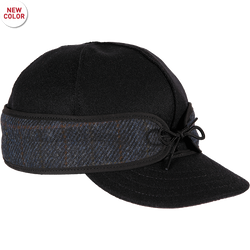 This is my second stormy Kromer hat and I truly love them. The hats are stylish and practical. Great product! I always wanted a Stormy Kromer and finally bought one. So glad I did...great hat!